Only once - Balkans, let's get up! 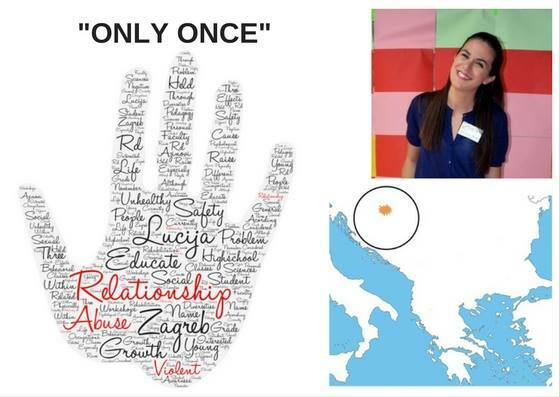 My name is Lucija Azinović and I am currently a student of Social pedagogy at Faculty of Education and Rehabilitation Sciences in Zagreb. According to my occupations in life, I am interested in social and behavioral problems, especially within young people. Through workshops in three different classes of 3rd grade high school students, I would like to raise awareness of diversity of relationship abuse and problem of unhealthy relationships in general. Although it’s often considered that these relationships are only physically violent, it’s important to educate young people that the problem is also related to sexual and psychological abuse which can cause negative effects on young people’s personal growth and safety. These workshops will be held in Zagreb in November, 2016.